As the 2014 summer internship program at Viget winds down, and we get close to saying our sad goodbyes, I’ve been focusing on how the past 10 weeks have gone. I am so grateful for how much I’ve learned and been able to do here. For some of my classmates, a summer internship was little more than résumé padding, which is a sad way to spend all that time. While obviously the first step to having a successful internship is finding a great one (ahem), you should also take advantage of everything that’s available around that internship as well. I’d like to share a few suggestions from my experiences to help you make the most of your internship. Get excited about the work! The 2014 Viget interns in each lab had a personal project to develop their personal skillsets. You can learn a lot if you take your work seriously. Do your best to get to know your fellow interns. I was the lone intern in Boulder this summer, but through all the collaboration (and an awesome chat room), I made some great friends. We were lucky to have such a phenomenal intern group, and it’s been a blast getting to work together on Winsome this summer. Do all you can to help each other out as well. Each person brought something unique to the team and I was thrilled to be able to work and collaborate with them. Don’t be afraid to ask questions or get together to solve a problem quickly. We collaborated quite effectively in a couple of ways: through office hours, born of our UX efforts, where anyone could join in as a teammate and contribute to their work on the project. When we moved closer to the implementation phase, we were able to screen-share through Google Hangouts or Screenhero for remote great collaboration justice. And it’s not just the interns—get to know your coworkers as well. Here at Viget I was glad to see how comfortable the climate was for asking questions and getting advice. Build relationships with those around you. Eli was kind enough to even let me pair on a client project with him for an entire afternoon—a generous use of his time. I learned a bunch and gained an understanding of how a Rails app scales. Developer and FED specific advice: make the most out of the code reviews. This was the most significant learning experience of the internship for me. Take advantage of the feedback and ask questions. I’ve found the developers are more than happy to provide examples of the refactoring they suggest. I’ve been really lucky to find all sorts of events and meetups here in Boulder, many through Viget. Meetup was a fantastic site for finding developer meetups. By happy coincidence, every meetup fell on a Tuesday, letting me dedicate that night to meetups throughout the summer. I attended a couple Ruby meetups hosted by Pivotal Labs, two iOS developer meetups hosted by Scrib, three Hacker Hour events hosted here Viget Boulder, and a couple of Hack and Tell events here at Viget as well. I don’t regret going to a single one of these events; I always learned something or found some inspiration. Of course you’ll need to put in the effort to get all you can out of these meetups—it won’t do you any good to just show up and sit in the corner. It can be hard, but this is a huge opportunity for you to network, which is arguably the best part of meetups. Growing up, I lived in a rural area with essentially no tech community, so it was exciting to meet other developers that were interested in similar things. I was even able to give a presentation on Swift enums at the iOS meetup which helped me meet some recruiters and improve my chances at career positions post-graduation. Also, check out other non-career related events. 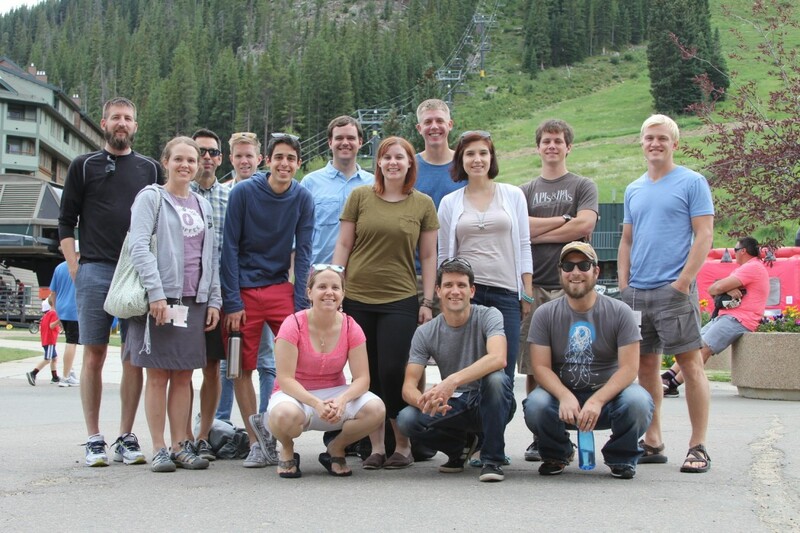 In addition to the developer specific events, I was also able to attend Refresh Boulder. I wasn’t planning on staying, but was glad that I did. Jen Lewin showed some amazing community-driven, large-scale, and interactive art pieces— a huge inspiration. 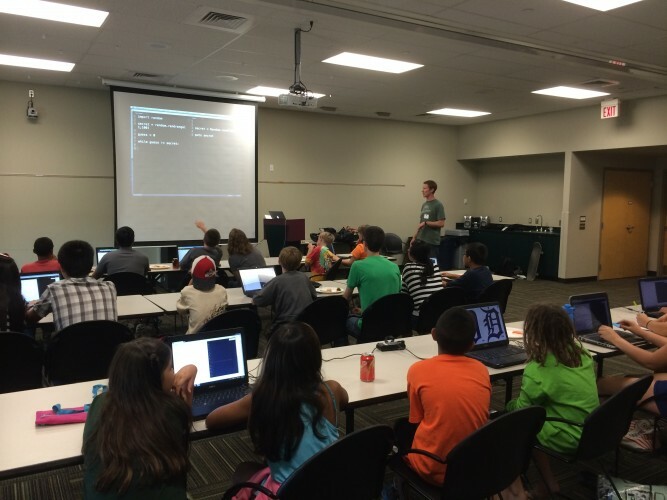 Unexpectedly, I also was able to participate in some summer workshops / hackathons through Program Lafayette. Another reason to join meetups—I found out about these events from someone looking for volunteers at a Ruby meetup. This is such a cool program that provides kids a chance to learn programming and circuits. Watching a kid get immersed in solving these new puzzles is such a joy—these programs would be worth doing if even just one kid discovered an interest in programming or engineering. We also were able to volunteer as an office! We helped restore an old section of road by planting shrubs and trees in Rocky Mountain National Park. It was great to learn about and help improve such a beautiful area. Volunteering is fun even without any personal benefit (although it doesn’t look bad to employers either). It’s really important to give your mind a break, especially if you are fully involved throughout the internship. This isn’t intern specific– several Vigets in other labs have admitted to dreaming about work if they don’t allow themselves time to get away while they’re awake. So find fun things to do in the area! Even if you are fully scheduled all week, you have a full weekend to explore. Join (or start) fun office events too! Four Boulder Vigets started weekly runs down Boulder Creek this summer and that was a great way to unwind after a full day. A huge perk of Boulder is the sheer amount of outdoor activities and sights. I was able to join a local church group backpacking and hiking all throughout the summer and made some lifelong friends. 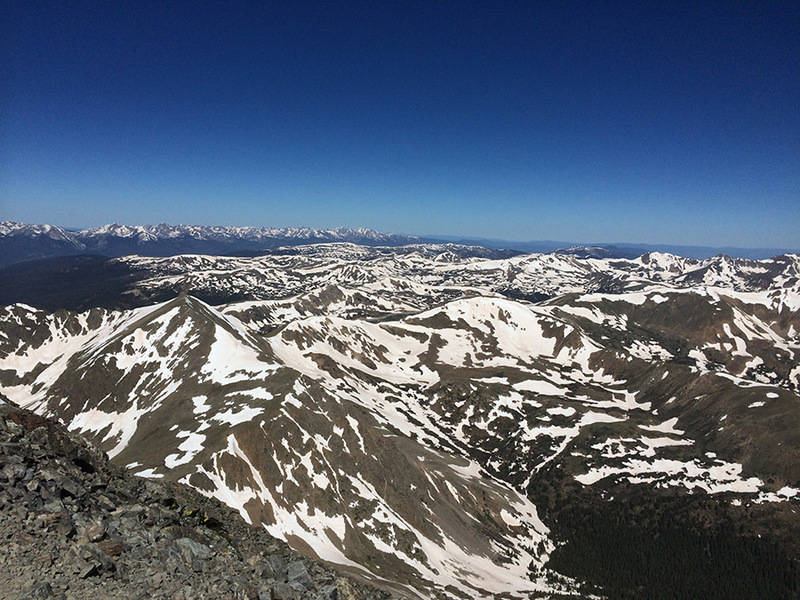 We were able to hike a couple 14ers too! I think it’s important to find a non-career-related group to join, especially if you are new to an area. Take away the pressure of work and enjoy something you have in common with others in the area. Pickup games of Basketball, Volleyball, Ultimate Frisbee, etc. Also: Don’t feel bad if you need to just have a down day, too. Don’t burn yourself out. All of this advice is really natural if you come to the internship with enthusiasm and a good work ethic. I’ve been so blessed while here in Boulder and can’t wait to get back. Viget is an amazing place to work, learn, and make friends. Make the most of your summer—find an amazing internship, and then take advantage of what’s available to you.